RockerByeBaby Blog – Tagged ""cloth diapering""
Squarespace Blog / "cloth diapering"
Tags: "cloth diapering", "funny", "messy", "oh crap", "parenting", "poop", "RockerByeBaby"
Sometimes even I need a break... and starting LATE Wednesday night, I took one. After a 6 hour road trip to IL with a crying 6 month old, a 4 year old, and a 5 year old with an ear ache... at 3am we were on "vacation"... I headed home to visit family for a few days while Zaq is in Europe with Motion City Soundtrack. *lucky goose* I figured, why stay home alone when we could take a few days off. The days off of course, still involved tons of emails for work, and running from one place to another... but still great none the less... Its always hard living out of a suitcase with 3 kids. Between clothes, diapers, food, and feeding... with a baby it can be a nightmare. So - I wanted to take a second to share my MUST HAVE ITEMS when I go home with the kids. 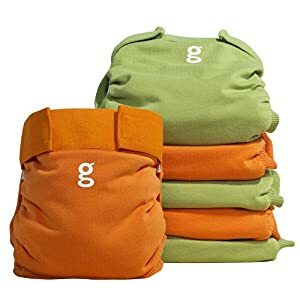 *gDiapers: I am a cloth diapering mama - but man, on the road it can be tough... and when I am home visiting I have ZERO time to do diaper laundry... so gPants are a great way to still use cloth, but get the convenience of disposables at the same time. YAY Eco-Friendly! *Plum Organics: With baby Rozz, I have chosen to make my own baby food. I have SO SO much fun doing it... but traveling, there was no way I was going to bring a bag of fruit and vegis, my blender, all my storage, ETC. So I needed another solution... Plum Organics pouches were AMAZING! Such quality, organic baby food... So easy to squeeze from the pouch into a bowl, and recap if she didn't feel like finishing! Its so great to know there is an affordable, easy, organic option on the market that comes in all the great flavors I love to make at home. 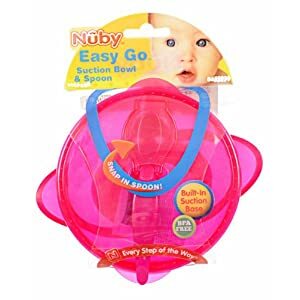 *Nuby Easy Go Suction Bowl: MY LIFESAVER! This little contraption was my lifesaver... and Im not even exaggerating. It made feeding SO SO convenient. When we were headed out the door I would pour a little cereal into the bowl, cap it with the super tight sealing lid, and snap the spoon into the top. Everything was in one spot and easy to grab. When I was ready to feed her I would fill it with the Plum baby food... mix it up and feed her. When she was done, I would just re-cap and toss the rest in the fridge. THANK YOU NUBY for such an amazing product. 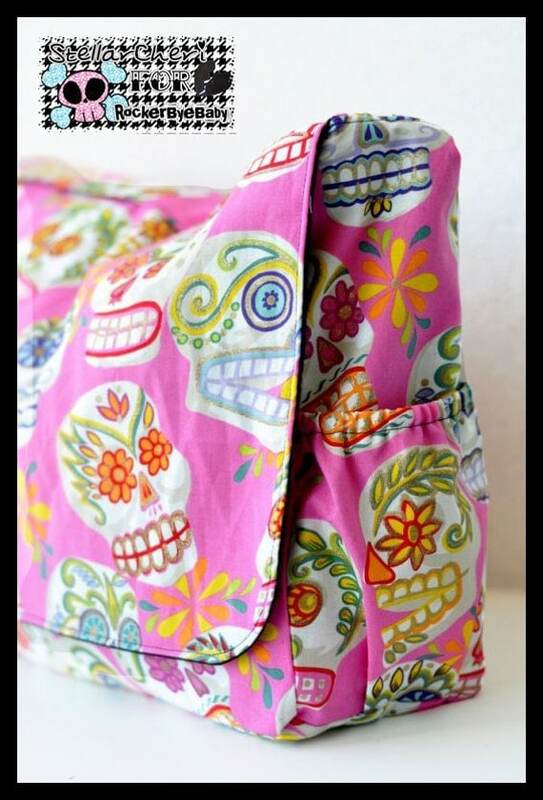 *Diaper Bag: Shameless plug? Maybe... but its true. I don't know what I would have done without my awesome diaper bag. Its an exclusive line by Stellar Cheri made JUST FOR RockerByeBaby... you can't get this anywhere else, as this specific pattern was made exclusively for us. And let me tell ya, its perfect! It was plenty big to hold all randomness that makes its way in there while you're on the road. But not SO BIG that you feel like you're carrying your suitcase... I definitely recommend grabbing one from our shop! They're custom made to order... so if you need a different print, just ask! Well! Those are my 5 absolute must have's for travel... I hope you find some (or all) of these goodies to be useful on your next road trip! If you have them (or get them), we would love to hear what you think! And of course - if you have any other traveling tips we would love to hear them!! 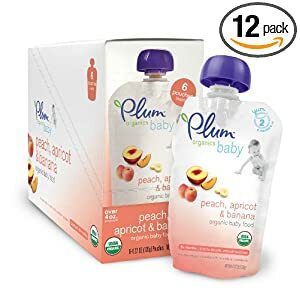 Tags: "baby food", "bumbo", "cloth diapering", "gdiapers", "gpants", "Nuby", "nubymom", "organic", "plum organics", "road trip", "RockerByeBaby", "traveling", "vacation"
New Shirts to match our favorite Goodmamas! THESE ARE NOT READY TO SHIP - THEY ARE CUSTOM MADE TO ORDER BASED ON YOUR SIZE CHOICE!! If you're a cloth diapering mama like me, then you probably like easy access to your diapers... and if you're a GOODMAMA diaperer like I am... then you gotta show off those cute prints! I started out just making these to match Rozzlyn's diapers, then realized they were too cute not too share... I love having matching tshirts... it makes them look more like an outfit, and of course it super easy to get at the diaper when they need a change. And since we don't typically use a cover around the house with our Goodmama fitteds, its nice the just feel quick if they're damp without having went pants. Each shirt is made to order. Please see announcements for current turnaround time. Leave your choices in the notes to seller for the Size. Be sure to check out Goodmama Diapers! Tags: "bonehead", "calaveras", "cloth diapering", "goodmama", "mix tape", "RockerByeBaby"
they keep all the moisture in... then you can just wipe the out quick when you change the diapers and use it over and over... They are ALSO great if you prefer prefolds & covers... just either wrap the prefold around baby, pin & cover... or simply just lay the prefold inside... easy peesy! Sarah was given the awesome Jam Session guitar diaper cover... almost exactly as shown... except a ONE SIZE! Meaning her cover will last her from about 8 pounds all the way through 30+... typically children are out of diapers around this time... so they are really a great investment. BrookiEllen has picked one of my ALL TIME favorite prints to give to one of you lucky readers... its called Damask Rock. And is the most rockin' gender neutral print out there... The winner will also be getting a One Size Diaper... with snaps as shown. #2: Fan RockerByeBaby on Facebook. #3: Tell Sarah your TOP 5 must haves in your diaper bag. #6: Follow the BrookiEllen Blog. Tags: "baby", "cloth diapering", "diaper covers", "eco friendly", "free giveaway", "parenting", "punk", "sarah baby shower"
Giveaway #2 - Nifty Nappy... a must have for your dryer balls. With all the awesomeness we have to give away... its hard to pick which order! But since we just posted the Buddha Bunz giveaway... it seemed totally obvious that the NIfty Nappy giveaway just had to come next!! If you're a cloth diapering mama - then you just have to have a set of Budda Bunz dryer balls to quicken your dry time and leave them feeling soft and smelling fresh... and if you're a cloth diapering mama - then you HAVE to have some Nifty Nappy diapers! I believe the final count on my diaper stash includes around 10+ diapers (some newborns, some one size... and some pockets)... and 5 Woolie Wraps. "The Nifty Nappy diaper is a one size (OS) diaper. It is made to fit from 7 lbs. to 35 lbs. The versatility of a OS diaper saves you money because you have to buy fewer sets of diapers over the course of cloth diapering. 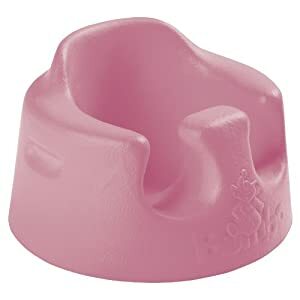 They are also great with multiple kiddos as you can use it on your 3 month old and your 2 year old." My favorite part about the NN one size diaper is their super trim lay in soaker... In order for some diapers to be absorbent, they have to be bulky and full of layers... but the NN diaper is so thin and does just as well if not better than the big guys. Another of our favorites is the NN pocket... if you don't like fitteds and covers, its the way to go... You still get the super cute print of a fitted... but a thin layer of PUL keeps it waterproof. So you don't have to worry about Covers or Woolie Wraps... But the cutest of all? This adorable one size Owl diaper!! Its the one that will be headed to Sarah, AND the one that we're giving away!! How to win: *must do the first three things, and leave them in separate comments below* all other entries are for extra's. #1: Fan Nifty Nappy on Facebook. #3: If you're a cloth diapering mama like Sarah, share with us you're FAVORITE diaper brand. If you're not... tell us why you want to try the Nifty Nappy! #6: Follow the Nifty Nappy Blog. Tags: "cloth diapering", "cloth", "diaper", "free", "giveaway", "RockerByeBaby", "sarah baby shower"
Home / Squarespace Blog / Tagged: "cloth diapering"